Jonathan is a Jewish college student searching Europe for the one person he believes can explain his roots. Alex, a lover of all things American and unsurpassed butcher of the English language, is his lovable Ukrainian guide. On their quixotic quest, the two young men look for Augustine, a woman who might have saved Jonathan's grandfather from the Nazis. As past and present merge, hysterically funny moments collide with great tragedy, and an unforgettable story of one family's extraordinary history unfolds. What a brilliantly original work! 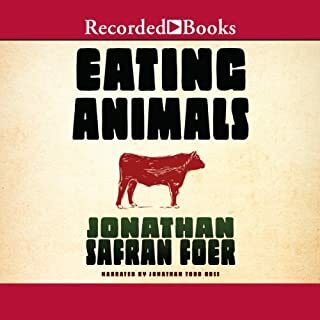 Jonathan Safran Foer spent much of his teenage and college years oscillating between omnivore and vegetarian. But on the brink of fatherhood - facing the prospect of having to make dietary choices on a child's behalf - his casual questioning took on an urgency His quest for answers ultimately required him to visit factory farms in the middle of the night, dissect the emotional ingredients of meals from his childhood, and probe some of his most primal instincts about right and wrong. Fifteen-year-old Christopher Boone has Asperger's Syndrome, a condition similar to autism. He doesn't like to be touched or meet new people, he cannot make small talk, and he hates the colors brown and yellow. He is a math whiz with a very logical brain who loves solving puzzles that have definite answers. 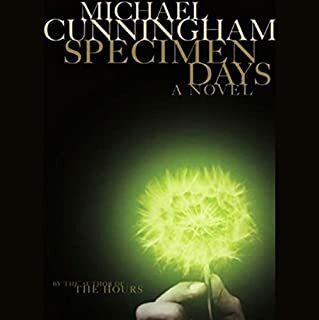 In each section of Michael Cunningham's bold new novel, we encounter the same group of characters: a young boy, an older man, and a young woman. "In the Machine" is a ghost story which takes place at the height of the Industrial Revolution, as human beings confront the alienated realities of the new machine age. At a cafe table in Lahore, a bearded Pakistani man converses with a suspicious, and possibly armed, American stranger. As dusk deepens to night, he begins the tale that has brought them to this fateful meeting. Changez is living an immigrant's dream of America. At the top of his class at Princeton, he is snapped up by Underwood Samson, an elite investment firm. He thrives on the energy of New York. But in the wake of September 11, he finds his position in his adopted city suddenly overturned. Not about Fundamentalism in its usual sense. What does it mean when a fictional hero takes a journey? Shares a meal? Gets drenched in a sudden rain shower? Often, there is much more going on in a novel or poem than is readily visible on the surface - a symbol, maybe, that remains elusive, or an unexpected twist on a character - and there's that sneaking suspicion that the deeper meaning of a literary text keeps escaping you. In this practical and amusing guide to literature, Thomas C. Foster shows how easy and gratifying it is to unlock those hidden truths. Pi Patel is an unusual boy. The son of a zookeeper, he has an encyclopedic knowledge of animal behavior and a fervent love of stories and practices not only his native Hinduism but also Christianity and Islam. When Pi is 16, his family emigrates from India to North America aboard a Japanese cargo ship along with their zoo animals bound for new homes. The ship sinks. Pi finds himself alone in a lifeboat, his only companions a hyena, an orangutan, a wounded zebra, and Richard Parker, a 450 pound Bengal tiger. Daniel James Brown's robust book tells the story of the University of Washington's 1936 eight-oar crew and their epic quest for an Olympic gold medal, a team that transformed the sport and grabbed the attention of millions of Americans. The sons of loggers, shipyard workers, and farmers, the boys defeated elite rivals first from eastern and British universities and finally the German crew rowing for Adolf Hitler in the Olympic games in Berlin, 1936. Do you believe in miracles?? 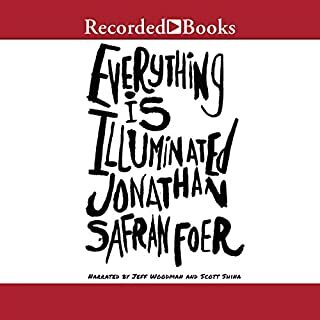 Jonathan Safran Foer's best-selling debut novel, Everything Is Illuminated, wowed critics on its way to winning several literary prizes, including Book of the Year honors from the Los Angeles Times. It has been published in 24 countries and will soon be a major motion picture. Foer's talent continues to shine in this sometimes hilarious and always heartfelt follow-up. Nine-year-old Oskar Schell is a precocious Francophile who idolizes Stephen Hawking and plays the tambourine extremely well. He's also a boy struggling to come to terms with his father's death in the World Trade Center attacks. As he searches New York City for the lock that fits a mysterious key his father left behind, Oskar discovers much more than he could have imagined. 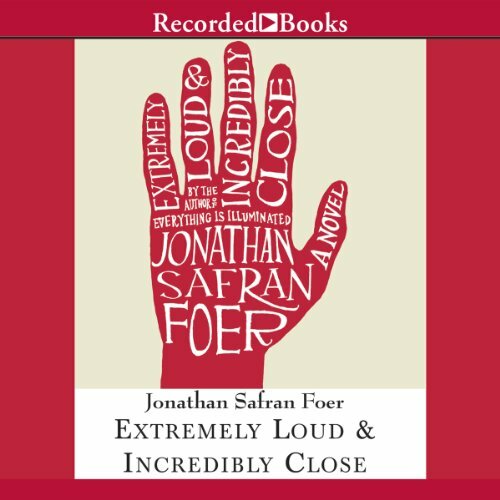 Extremely Loud and Incredibly Close is a masterfully imagined novel from an author Time hails as "a certified wunderkind". Read this book. Listen to this book. It is that good. I saw the movie when it came out and though I enjoyed the movie - they do not compare. The book is a whole new story. You get to hear the thoughts of young Oskar and his grandparents. There is no way a movie can convey those thoughts. This author is brilliant. Truly brilliant. He ties so many things together - the parallels between the beginning of World War II and the World Trade Center disaster. I don't want to start a new book because I don't want to forget this one. Oskar Schell is a nine-year old whose father has been lost in the World Trade Center on 9/11. Oskar is curious, inquisitive, and truthful, characteristics which make his life interesting, difficult, humorous, and painful. ELIC is the story of Oskar's quest to find the lock to match the key he believes his father has left for him. Both his grandfather and grandmother tell their stories in chapters entitled "Why I'm Not Where You Are" and "My Feelings" respectively. As soon as Oskar asked, "Why didn’t he say goodbye?" and "Why didn’t he say I love you?" I knew I had to finish the book. I have had those same questions, and felt like a nine-year old when trying to answer them. I don't know if answers are forthcoming, but the search for answers is worthwhile and necessary. I approached this book with a bit of trepidation because I tried to read the print version several years ago and couldn't get past the formatting. This time I listened to it; I don't think I lost anything by not having access to the blank pages, pictures, and words on top of each other in the print version, and gained quite a bit of understanding by simply hearing the book read. 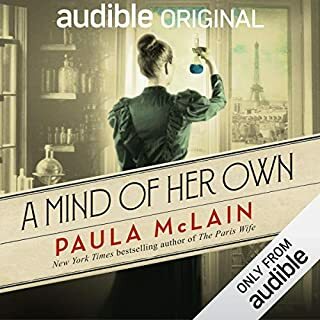 This is not a book that I thought would translate well to audio, but for me it was a huge improvement. I'm torn about this book. Audio books have 3 ingredients--the story, the writing, and the narration. The story in this book is so, so. I'd give it a 3. The narration is by three people, the narration of the boy is a 5 and the other 2 are 3s. The real reason to listen to this book is the writing which is a 5. The writing is unique and thought provoking. If you want a book to listen to while you do something else or to be entertained--this is not the book. This is one of those books that requires a little work on your part to really enjoy it. By far the best audio book I've experienced thus far. I have not read the print version and so, perhaps, am not prone to the sense of "something missing" in the verbalization of what, I assume, are visual representations in the book. I found the book to be more like a play in that the narrators are more like fantastic "radio" actors. They perfectly evoke their characters without over-emoting. As for the content of the book, it's breathtaking. My favorite character is the child, Oskar. Here's an example of the warped mirror of dry irony created when a child views the world with intelligent eyes. Oskar's so very active and acute mind is unsullied by adult resignation. That's why he breaks your heart with his unrelenting and purely innocent attempts to understand his unbearable loss. I found myself rooting furiously for success in Oskar's mission, knowing all the while that it was, of course, futile. The other characters are also very compelling, involved as they are in their own crushing losses, confusions and disappointments. Their tales unfold more subtlely than Oskar's. At their first introductions, I found myself somewhat at sea, not certain as to what was "going on". Have faith, dear listener, because the mosaic becomes a clear picture as time goes by and all the characters become enmeshed in a greater story. There is much sadness in this book, but it is elevated to a kind of ecstatic melancholy by the objective simplicity of the writing. I found my emotions fully engaged but never manipulated or exploited. I was not depressed by the experience, but exhillerated. And there's a fair amount of redemption at the end of the book. This book is positively magic, made all the more so by the exquisite performances of the narrators. Can't recommend it highly enough! OMG, okay..... I really loved this book. The main character Oskar is part Eloise meets Edgar Mint meets Oscar Wao meets Owen Meaney. I laughed, I cried, I didn't want it to end. What more can one ask of a book? 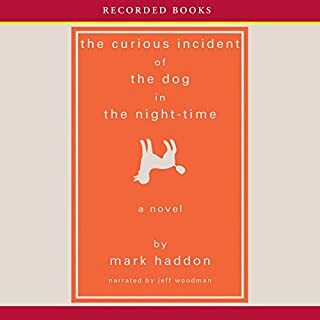 I haven't seen the movie so I cannot compare, but listen to this wonderfully narrated book, you will be so very glad you did! Young Oscar plays the tambourine, wears all white, makes jewelrey and has a googleplex level of intelligence. His father perished on 9/11 and left a key our young hero believes opens the box to a secret message. In the past, Oscar's father set up scavenger hunts around Central Park and told complex tales of wonder. The story isn't so much about the horrific events of that day, as it is about the current quest for meaning on which Oscar embarks. His Grandmother and Grandfather lament on their past with odd, unorthodox, symbolic stories. The novel is amusing, heartwarming, and quite quirky. The main ideas and characters eventually merge together and the ending was satisfying. I like books such as this one, where the ending isn't as expected yet you felt the journey was worth it. There were many moments where I paused and processed the hidden meanings. Enjoyed this immensely and told my children I loved them. This book is told in 3 voices - a boy and his grandmother and grandfather. It describes horrific events, revealing them bit by bit, from different points of view. The horror is interspersed with hilarious moments. It is the first fiction I have been able to read that deals with the aftermath of September 11th in a realistic way. It jumps around in time and viewpoint, but that is part of the magic. Towards the end, I couldn't tear myself away. 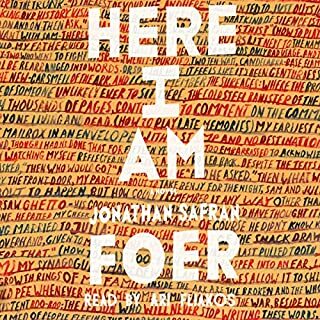 Jonathan Safron Foer excels at the audiobook format. The way he writes is meant to be interpreted by a reader like a dramatic script since very often he plays with how the words appear on the page-- repetition, quotations, lists, and more actually work better in the audible format. Here is a story of a precocious young boy travelling who is on a quest to find the owner of a key he found in his deceased father's closet. His only clue is the word "Black", so he sets out to ask every person surnamed Black in NYC if they know anything about the key. Don't be fooled by the lighthearted plot-- this story is heartwrenching, and it deals with wounds that may not have healed since it is in the aftermath of 9/11. As usual, Foer creates numerous side characters that are as unique as they are loveable, and this alone makes the book worth it. Nevertheless, I would recommend starting with Foer's other book, Everything is Illuminated, first. This one deals with another heavy subject-- Nazi terror-- but is more hopeful, sweeping, and moving overall. Half an hour into the book I thought I was in for a tedious slog. Oskar, the more than precocious little boy who is the main character, wore me out fairly quickly with his wide-eyed naivete and remarkable imagination. This seemed like a writer who was trying way too hard. Gradually it became clear that it was Oskar who was trying way too hard, and the pain and confusion which were driving him were brought artfully into focus by some really brilliant writing. Still, Oskar's story by itself would not have sustained the book and, for me, the growing beauty of the narrative began to blossom with the entrance of his grandfather and grandmother, each relating his/her own journey in a continuous, Rashomon-like shift of perspectives. As things progress, these three points of view begin to construct a kind of hall of mirrors which finally can only be resolved by accepting all of them as true. For me the book finally became poetry, not of word, though the use of language is often exquisite, but of narrative detail. Some readers have had problems with the far fetched elements of the story--a man who loses spoken language one word at a time until the only word he has left is "I" and then loses that as well. A man who, each day after the death of his wife, drives a new nail into the bed he built for her and shared with her, until the thing weighs so much that he must construct a column to support the floor beneath it--and cannot say why he does it. These are brilliant and profound poetic images which accumulate through the course of the book and resist a one for one interpretation of "meaning." They mean what they do-to-you as you encounter them and let them under your skin. They are improbable and entirely true. Most reviewers seem most taken by Oskar but, perhaps because I am older than the average, I was most deeply affected by the grandmother and grandfather. I found their narratives deeply moving and evocative of the struggle we so often have with intimacy and being known by those closest to us. I recommend the book most enthusiastically to those who have loved or almost loved for many years and are still struggling to get it right. Incidentally, the book actually has very little to do with 9/11 but a great deal to do with loss, healing and our amazing capacity to rediscover things we think we have lost forever. It lifted my spirits and made my heart swell. The characters in this story are wonderful. Oscar's observations and storytelling are precious. Did not want this book to end!